Ash Breeze, formerly The Smith Family Band is from Moore County, North Carolina and began playing bluegrass in 2010 after being classically trained. 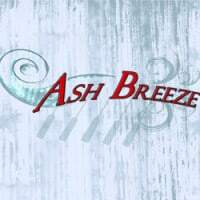 The group changed their name to Ash Breeze after an old sailing term referring to the ability to row a boat yourself when there isn’t enough breeze to fill the sails. This close family consists of the father, Allen, who plays bass, daughter Nellie, lead singer and fiddle and three sons, Corey on guitar and vocals, Luke on banjo and cajon and Eli on vocals and mandolin. Their musical influences are folk, jazz, bluegrass, classical, blues and gospel. I really see Ash Breeze taking the Bluegrass and Americana genres by storm in the near future with their fresh, “homegrown” music.